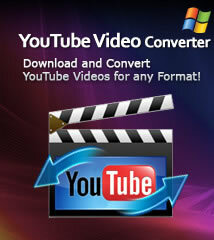 This step-by-step guide demonstrates how to download videos from www.youtube.com and convert them to other video files for iPhone, Galaxy, HTC One, Moto X, iPad, Nexus, Kindle, Surface, Lumia, BlackBerry, etc. 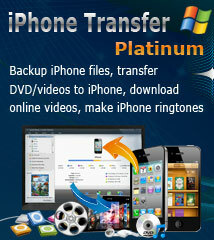 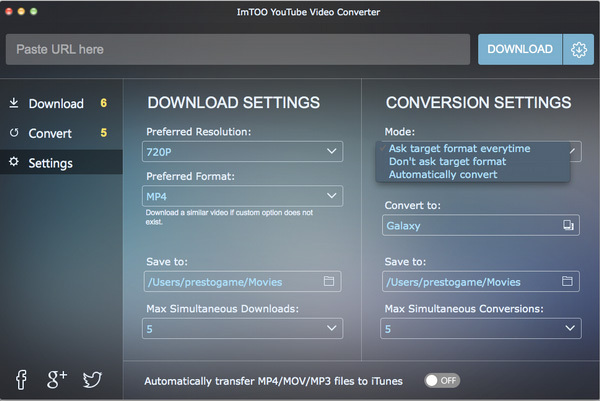 with ImTOO YouTube Video Converter on Mac OS X. 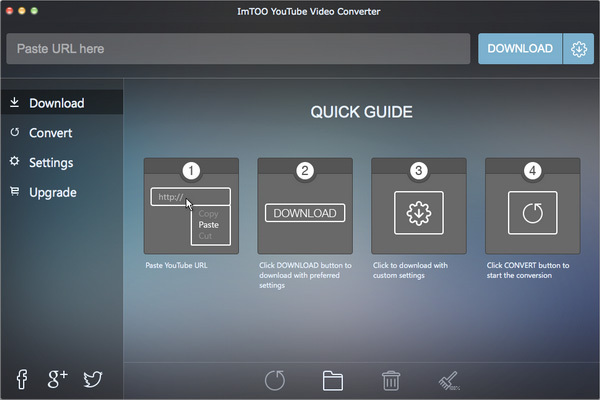 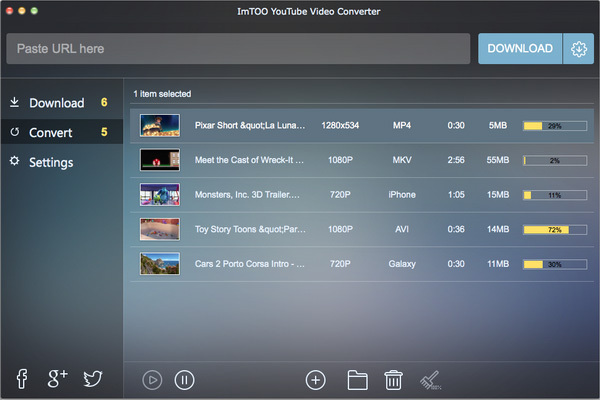 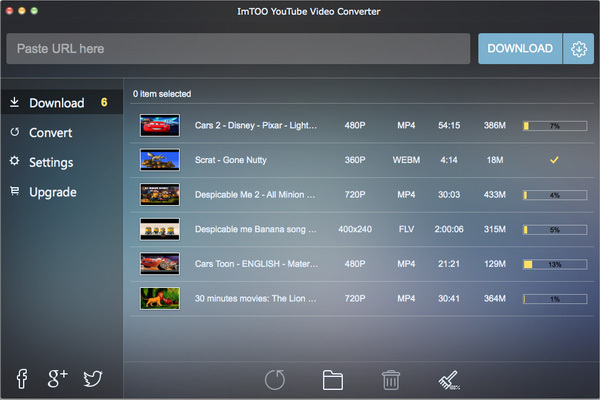 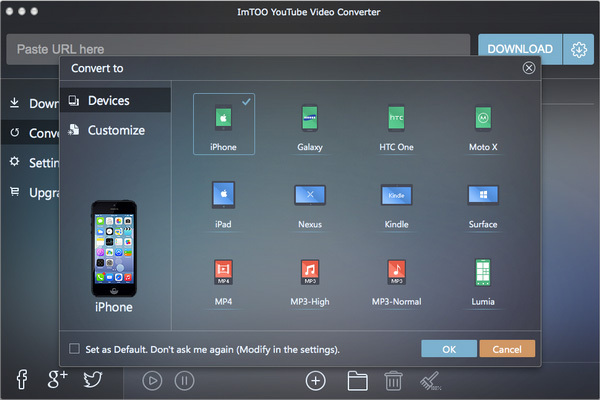 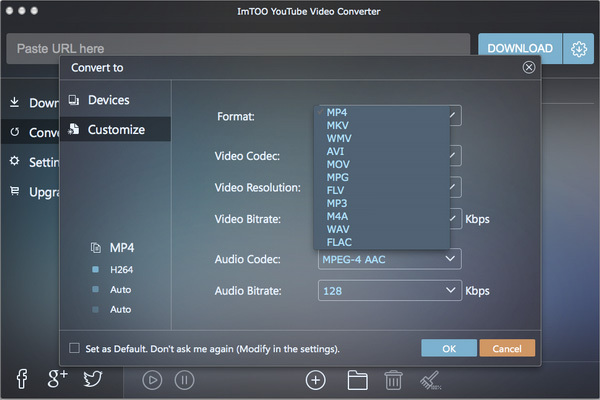 At first, download, install and launch ImTOO YouTube Video Converter for Mac. 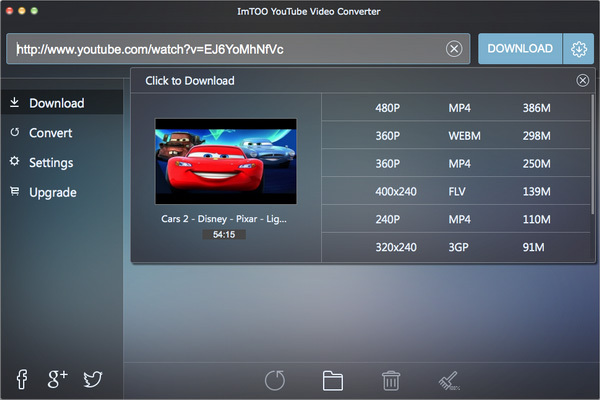 Below is the first interface after launch.